So this intro is going to be a continuation of a past review I have done. Recently I went to see a film called ‘The Forest’ and in its final paragraphs I explained the definition of what I call “Hollywood Horror”. If you did not read that review (and um, you should have, how long have you been here? Anyway) “Hollywood Horror” can be summarized as having a terrible plot, less than stellar acting, and the same formula of scares done over, and over, and over, and over again. This formula sells tickets sadly because the little youngins (and some older folk) get a kick out of this and enjoy it. I, obviously, do not. On the flip side of things, we are sometimes graced with a much more creative take on horror in the form of Indie style films or just plain old creative directing and writing that comes out of no where. I am happy to say a film has come in the form of the latter. ‘The Witch’ opened in theaters today with pre-shows yesterday and has been coined as being one of the most terrifying films to date. So can it live up to the hype? ‘The Witch’ follows a 1600’s family as they create a small farm on the edge of a wooded land after being exiled from their plantation. The family consists of William (Ralph Ineson), Katherine (Kate Dickie), Thomasin (Anya Taylor-Joy), Caleb (Harvey Scrimshaw), twins Mercy and Jonas (Ellie Grainger and Lucas Dawson), and the new-born, Samuel. As the family tries to create a life in exile peacefully and happily, it all gets turned upside down as they start to experience strange happenings all beginning with the disappearance of their new-born, Samuel. From that instant on, questions and accusations of witchcraft begin to arise all the while constant occurrences keep happening further straining the family and splitting them apart more and more. 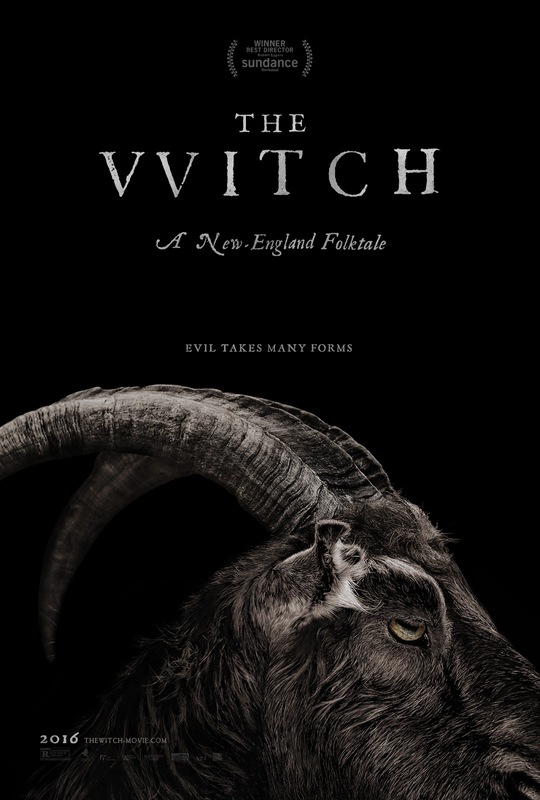 To put it simply, Robert Eggers delivers a terrorizing horror in the form of ‘The Witch’. Do not go into this film expecting cheesy jump scares and scary apparitions. This one does not do that. Instead, ‘The Witch’ delivers a slow terror, unnerving, and mentally exhausting horror. The constant questioning of what is happening leaves the audience uneasy and when this film finally starts to pick up, it consistently bludgeons the audience with eerie terror. Some dislikes I did have, however, were that the old English is sometimes hard to follow and it can be found as being slow at some parts but it is all part of the style that Eggers is delivering his haunting moments. This is another Indie win for the creative horror category. I would place it among the ranks of last years creative beast that was ‘It Follows’. Check this film out and try to keep your sanity. Witchcraft, black magic, and possession in full force.